It is natural for air to flow from a warm area to a cold one. This is why during winter, the warm air in your home tries to escape to the cooler air outdoors. This change mostly happens in outlying rooms such as basements, attics, and garages, and from there, the air makes its way to the rest of your home. Insulation limits air movement within the home. The still air trapped in the insulation helps prevent the heat from transferring from one place to the next. In this post, the leading Detroit roofing and home improvement company, Kroll Construction, talks about insulation in detail. 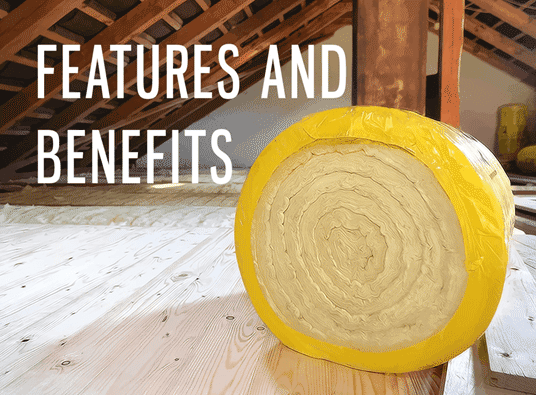 We share some of the features of efficient insulation and its importance, especially in this cold season. Improper insulation allows heat transfer, forcing your home to waste precious energy. This could cost you hundreds of dollars yearly while putting undue strain on your heating and cooling systems. You can dodge these by asking Kroll Construction to install efficient insulation in your home. In addition, certain types of insulation can give you federal tax credits, helping you save cash when tax time rolls around. Efficient insulation has sound absorption qualities that prevent sound from transmitting through your home’s walls or floors and reduce unwanted ambient noises. Moreover, proper insulation aids your cooling and heating systems in regulating the temperature in your home, making it more comfortable. We install blown-in insulation made from molten glass and spun into fibers, offering excellent thermal performance and excellent sound suppression. Protect your family from airborne pollutants by installing the right insulation. Not only does Kroll Construction offer top-grade roofing in Detroit, but we also install cellulose or fiberglass insulation in your attic to prevent mold or mildew growth. For your walls, use blown-in cellulose or foam insulation. Let our experts “wrap” your home in a comforting layer of insulation that will keep your home cozy while saving you money. Call us today at (888) 338-6340 to schedule a free inspection and estimate.